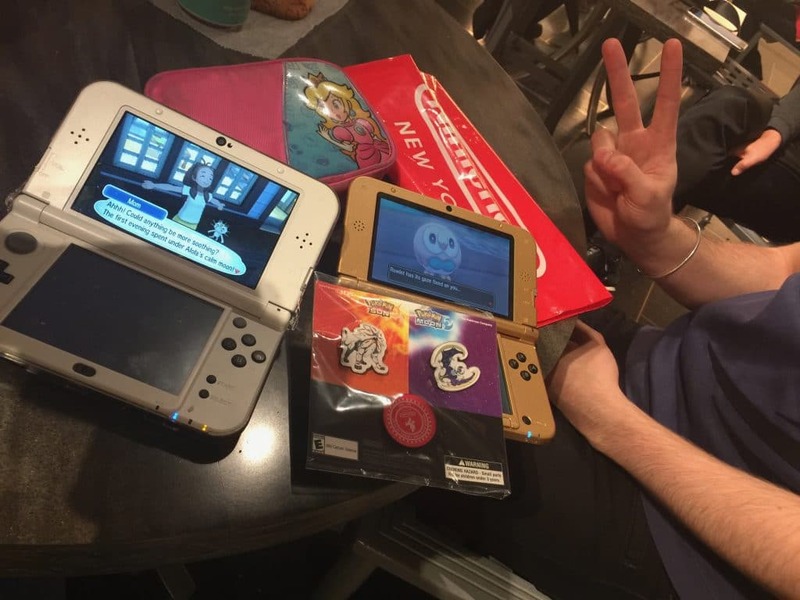 | So excited today to go and purchase Pokemon Sun & Moon at Nintendo World NYC with my friend Andrew and my boyfriend Angel. This little pilgrimage to Rockefeller Center has been done a total of 3 times for Pokemon with my Friend Andrew (@thehoursofayres). Every adventure we scope out the Nintendo World and giggle and the cute and silly merch that is in-store. This time around we had an extra set of hand to take a photo of us in front of the Sun & Moon Island map, behind the starter Pokemon. 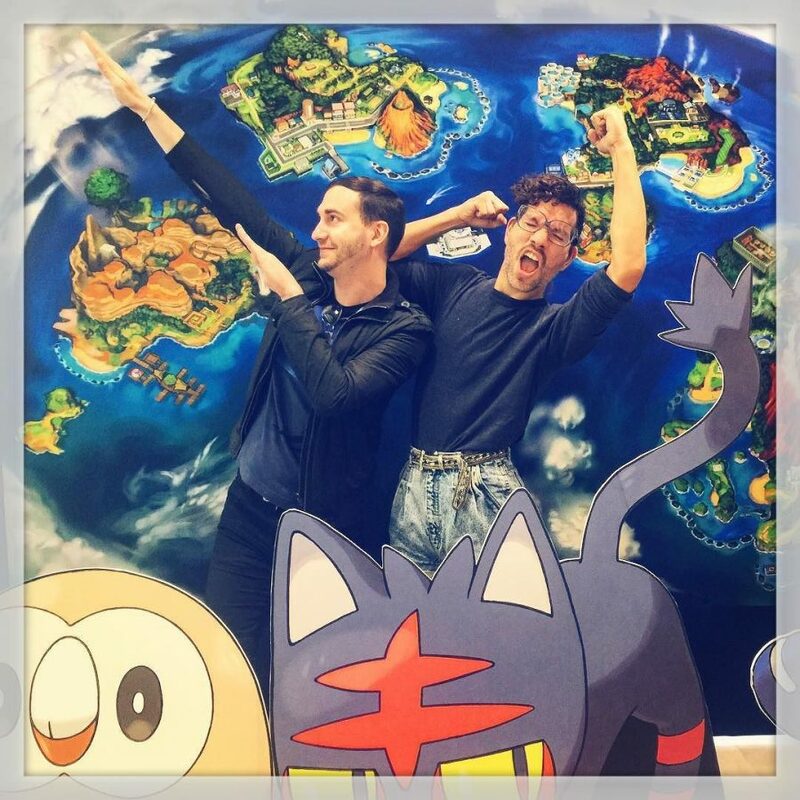 As a result of our silly photo we started a chain of 20-somethings striking silly poses expressing their love for the world of Pokemon. Andrew and I both bought Pokemon Moon version. WOW! Love, love, loved! The format of the game, corny moments, design style, and story were just spot on! So many features are packed in, it’s a bit overwhelming to keep up, but even harder to put down. Pokemon Sun & Moon has set a new standard for the Pokemon franchise and it can only get better. My Pokemon Sun & Moon starter was the Grass and Flying type Rowlet.